Bio Notes: Alexander Cattanach (sometimes erroneously spelt Cattenach) was born on 26 October 1856, the son of Donald Cattanach, a stonemason and his wife Jane Cattanach (also her pre-married name). Like his father he trained as a stonemason but later practised in Kingussie as an architect and contractor. He died at the Laurels, Kingussie, on 3 September 1928, leaving moveable estate of £2346 9s. 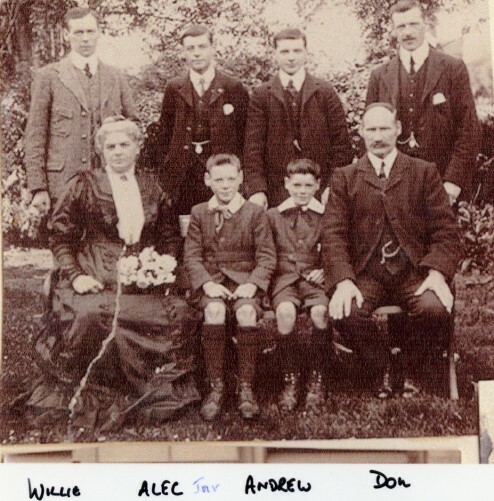 Alexander senior had six sons of whom Donald, born in 1880, was an architect and surveyor, William was an engineer, Andrew a road surveyor, Evan a farmer and Alexander, born in 1896, was an architect. Alexander junior continued the practice after his death and and had a large practice, designing houses, hotels and shooting lodges as well as cinemas.